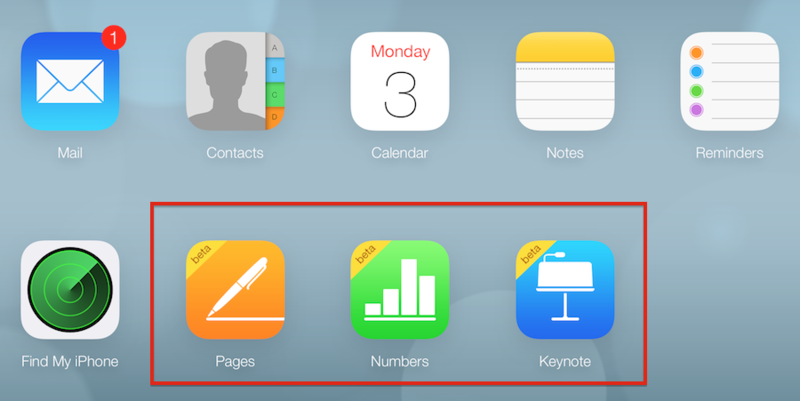 As you may already know, Apple shut down iWork.com (which used to be great for sharing and discussion Keynote prototypes), and integrated iWork apps into iCloud.com, making it possible to create documents, spreadsheets and presentations in the cloud. It’s possible to create basic shapes, solid and gradient fills, and add images and effects, which makes it a solid tool for laying out basic user interfaces. And if you have Keynotopia UI templates, you can import them into Keynote on iCloud.com and use them the same way you would in the desktop version of Keynote to create high fidelity interface screens quickly! 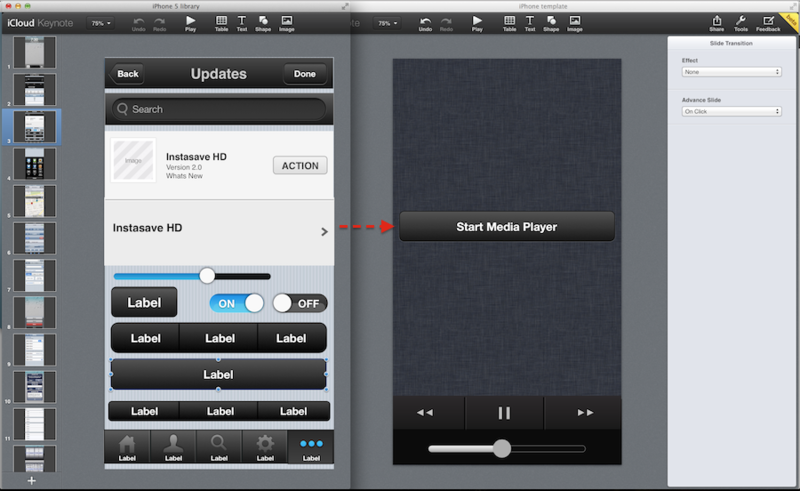 You can open a Keynotopia template side by side to a blank presentation (make sure you upload and use the blank starter templates included with Keynotopia to get the right sizes for iPhone, iPad, etc…), then copy and paste interface components from the template slides into your prototype slides. You can edit shape colors, effects and change text all in the cloud. This is a great alternative for PC users to get the same power and simplicity of Keynote, without having to buy a Mac or PowerPoint for the PC. You can even share a link to the presentation for someone to jump in and start editing it with you without having to buy and download Keynote, which makes is good for collaboration with teams and clients. Aside from that, it’s a great (FREE!) tool for designing and prototyping user interface mockups in the cloud, on both Mac and PC. You can sign up for iCloud here. Prototype Your Web and Mobile Apps Using Keynote, Even If You Don’t Have A Mac!